I went on a ski trip to Switzerland in February, as an extra adult helping hand for my brother’s school trip (lol any excuse for a holiday, really) as well as to learn how to ski. First time, and boy oh boy, it was terrifying as heck on the first two days! It simply goes against every natural instinct in my body to set myself off a perfectly stable perch onto the slippery piste with low visibility! Who does that? Seriously! However, as uncomfortable as the damned ski boots were, and the biting cold on our cheeks, and the low visibility, and the crashing into powder snow (or fat snow as my brother likes to call it) was, by the end of the 6-day ski trip, I was skiing and managing my turns, and hurtling down the flat planes (except for one or two bits where I need a sixth-former’s help to pull me along on his snowboard). It was so amazing, and I’m raring to go on another ski trip to learn more and pick up a bit more confidence in the process. It’s really something to see little toddlers in their one-piece snow suits whizzing past you on the piste while your knees shake to maintain a snowplough turn cos you’re terrified of the powder snow. 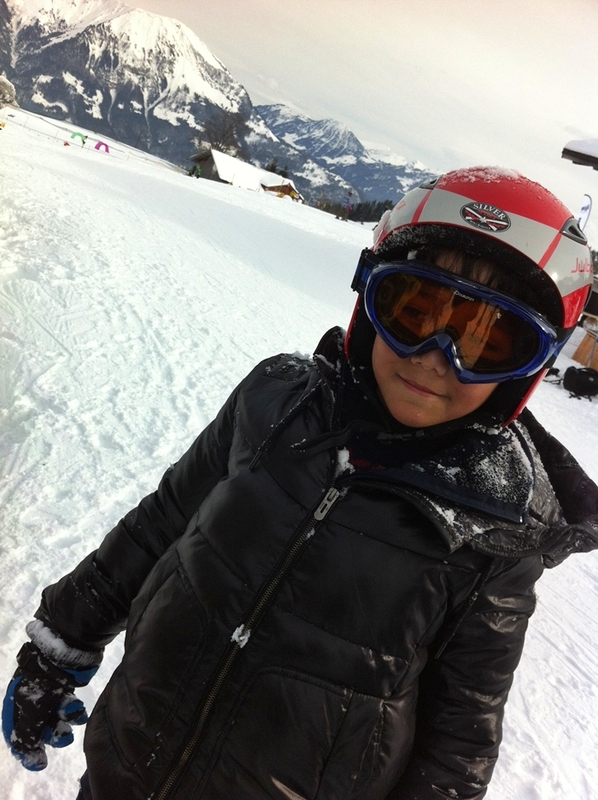 Those little Swiss kids got me every time, with their mittens and goggles and helmets and lisping German! Goddammit, gotta stop these maternal feelings, I’m too young to feel this way. 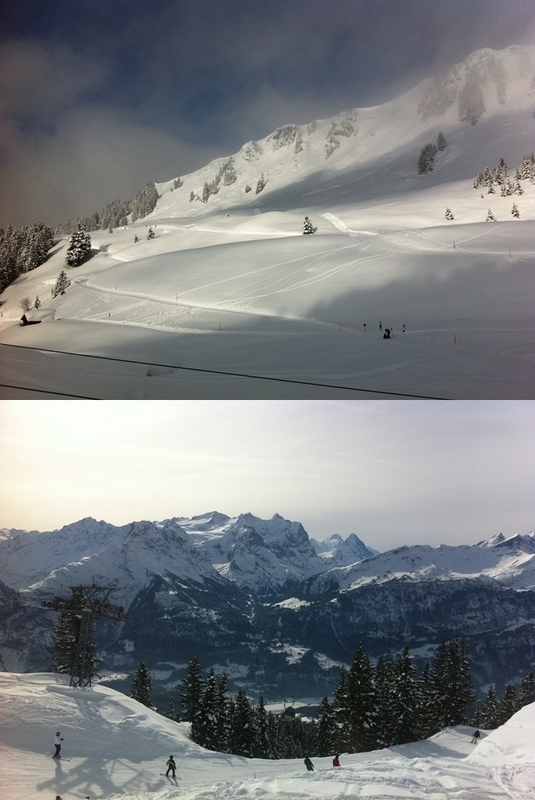 Anyway, let’s get back to the food bit: there was one afternoon where I just could not ski anymore. It was the second day, and I’d chosen ill-fitting boots (too tight) paired with too short socks (ouch! Still have the scar from a pressure point). 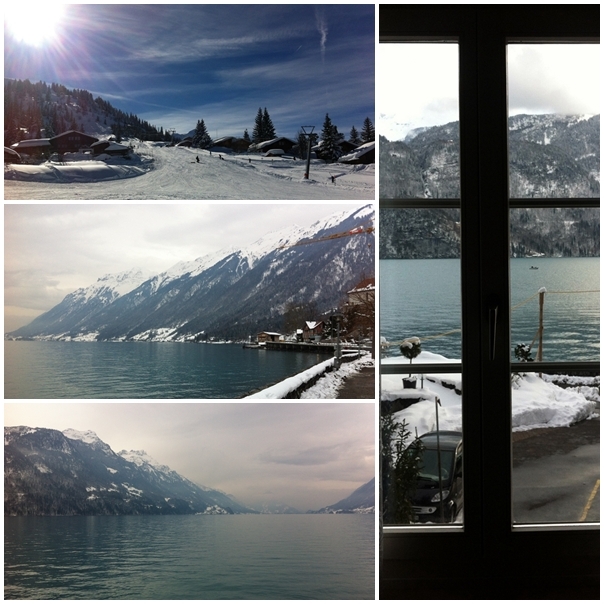 So after a morning of wincing and hobbling and trying not to be the big adult baby crying in a group of year 7 kids, I opted out and sat in a cafe up in the Brienz Axalps Ski Resort. Coffee, a piece of pear cake (I couldn’t understand the menu so asked the proprietor what his favourite dessert was) topped with freshly whipped cream, and then followed by a glass of mulled spiced wine. 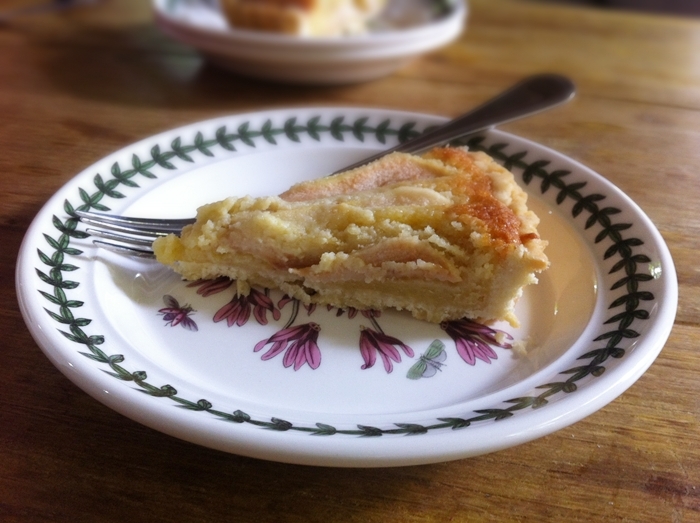 That piece of pear cake was one of the most beautiful things I have ever tasted! 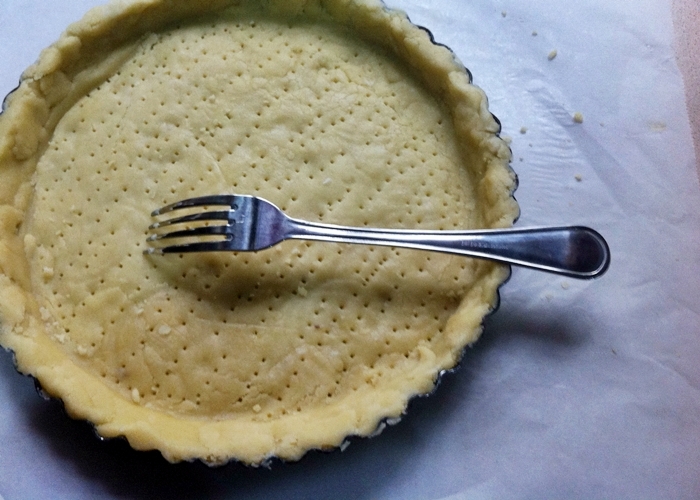 I have wanted to recreate it since I had my first bite, but due to time constraints, I had to put it off until last weekend when I allocated a completely Nothing weekend just so I could bake and rest. Also, let’s be honest: I got distracted by other recipes. 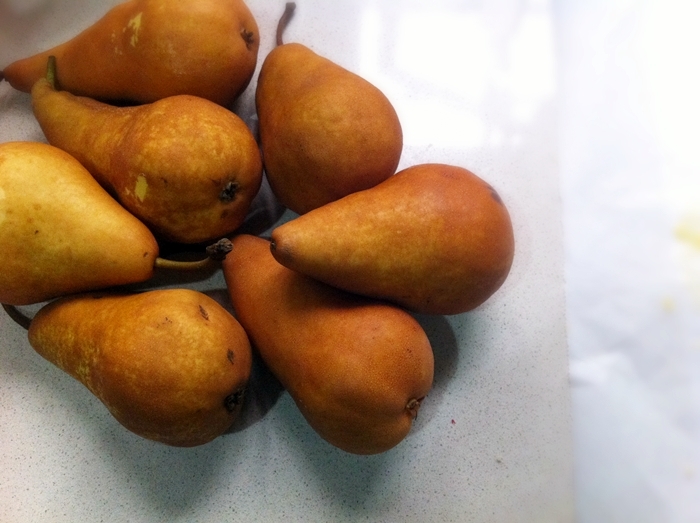 So this is my first attempt at a pear cake like that one I had in Switzerland. It’s close, but no cigar, so you can bet your bottom dollar I’ll be trying again and again til I get it just right. 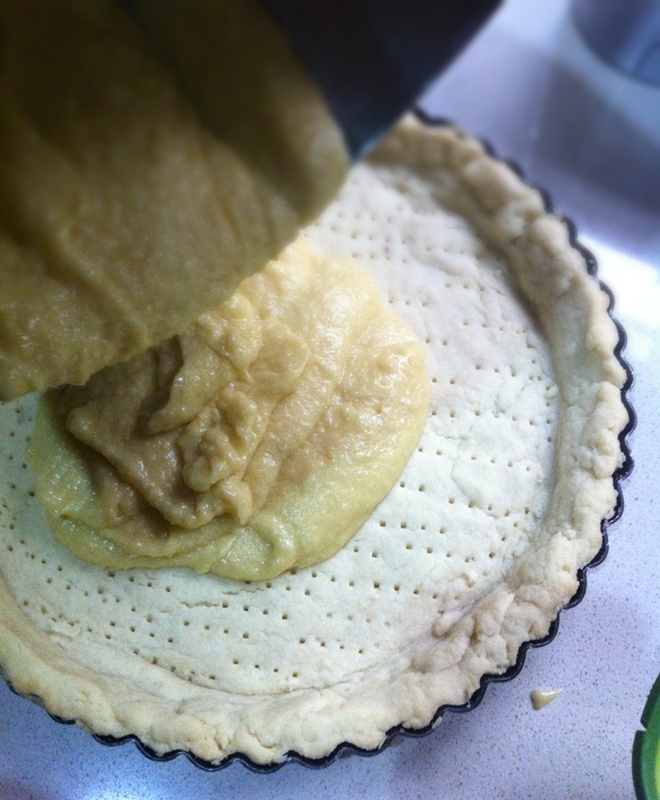 First, we prepare the shortbread crust! 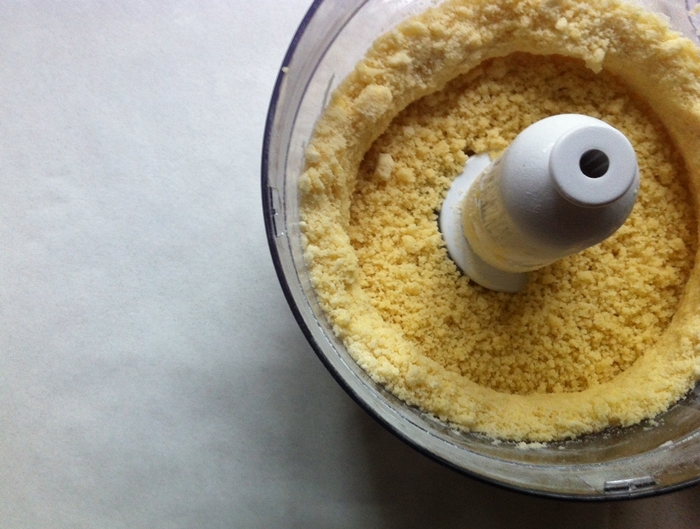 This, my friends, is the reason I bought this food processor, so that I may make shortcrust pastry without warming the dough with my hands. Serve warm, with a scoop of vanilla ice cream if you have any on hand, or a dollop of freshly whipped cream. Yum! 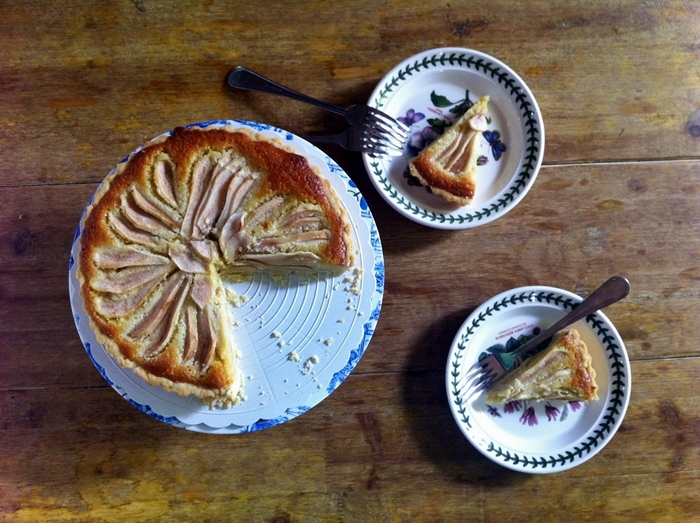 It’s a good recipe, close to what I had in Switzerland, unfortunately it’s not quite it. The cake I had in Switzerland had a thinner, more flaky base, and was slightly more tart. I’ll try this one again soon!